After searching through the labyrinth of the internet keenly looking for anything exciting pending in London’s theatreland I have discovered a few potentials that will definitely excite audiences and critics alike. Firstly, Pinter will be back in the West End at the Donmar. A production of Moonlight will be playing from 7th April to 28th May and unfortunately for those relative early birds, it has already sold out but the wonderful people at the Donmar provide a small allocation of day seats at a sensible price provided you pick them up in person. Now, I know this may mean going to work a little late or perhaps even, dare I say, skiving, but those pertinacious enough will, I am sure, be duly rewarded. Theatre company LOVE&MADNESS are putting on a short run of Dario Fo’s excellent farce, Accidental Death of an Anarchist at the Waterloo East theatre. Now, if you are like me, you would remember that the Donmar did a run of it many moons ago with Rhys Ifans in the lead role as Maniac and again, if you are like me, you would have been aggrieved at missing out on that particular performance- this is the chance to catch this hilarious play but ensure to get tickets early. It runs from 5-10 April. 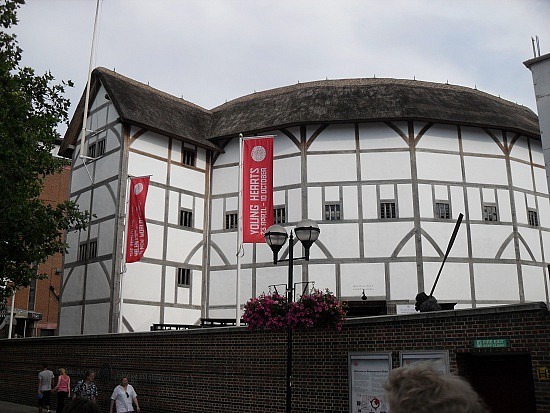 Also, I’m very excited about the upcoming Globe season, which includes a celebration of 400 years of the King James Bible where actors, over a weekend, will read the entire Bible. I am very curious as to see how they decide to stage this and transform a verbatim reading into a theatrical experience. Christopher Marlowe’s, seemingly ubiquitous Dr Faustus will also be playing at the Globe in the summer. Exciting times indeed. The Tories can’t keep theatre down!